On Sunday night, Katy Perry soared across the sky like an NBC PSA, Marshawn Lynch went into “Beast Mode,” and the Patriots took home another Super Bowl title. Yes, these oddly endearing felt monsters stole the show, but it was the left finned dancer who truly soared. With a dedicated ambivalence to the set choreographed, this dancer slapped and wriggled his way into the hearts of football fans everywhere. And now, let us unmask this Super Bowl enigma. As much as we want to see Snoop Dogg transform into Snoop Shark, Perry’s “California Girls” partner was not one of the dancers, even though he claimed ownership of the identity online. Uproxx also discovered a possible source for Lefty’s true identity, a 22-year-old Tinder enthusiast. 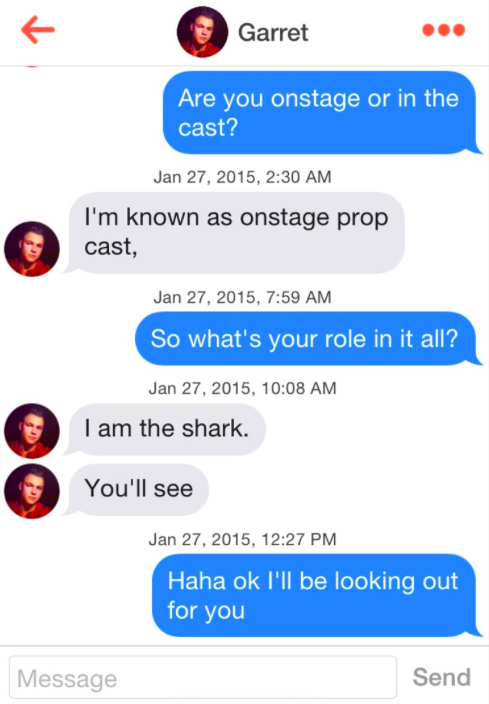 Days before the Super Bowl, a man named Garrett chatted a Tinder user claiming that he would be one of the halftime performers. Whether Garrett had insider info or it was just a lucky guess, it doesn’t look like this Romeo is the man behind left shark’s shoo-fly dance. Instead, this newfound celebrity is probably a professional dancer who has been working with Perry for years. In a brief Reddit AMA, dancer Scott Myrick, who has been working on Perry’s tours for five years, happily owned up to being one of the Jabberjaws, sharing that the visibility in the costume was so bad he ran into a palm tree off camera. 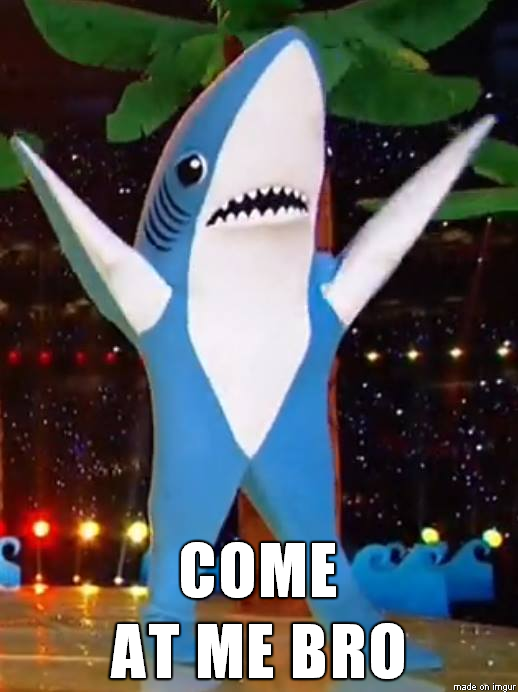 Based on his AMA and Instagram, Myrick appears to be the more choreographically inclined right shark. So, who is the rogue wobbler on the left? A little more digging on Reddit turned up Bryan Gaw, another one of Perry’s tour dancers. Gaw also posted a photo of the performance to Instagram, but instead of centering in on a single shark as Myrick did, he showed the pair. This process of elimination leaves Gaw as our celebrated left shark. But really, the world may never have a definite answer on the true identity of left shark, and maybe that’s for the best. What’s important is that for a brief moment, we all forgot our differences and rallied around the majesty of a person in a giant fish suit.